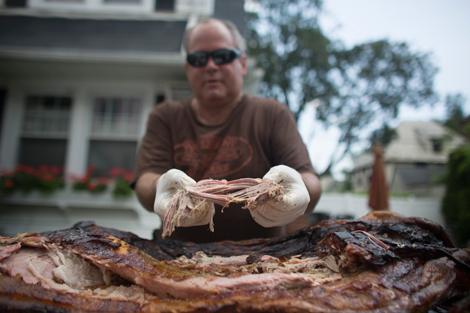 I Like Pig: Recipes and Inspiration from New York City’s Pig Island brings together the festival's greatest hits. New York swine lovers will be familiar with Pig Island, the annual summer festival dedicated to all things pork. Each year, around two dozen chefs create a dish using locally raised hogs, and 25 of the best recipes have now been condensed into a single e-book. The book can be downloaded in multiple digital formats for $1.99, thus avoiding your lardy fingerprints all over its pages. 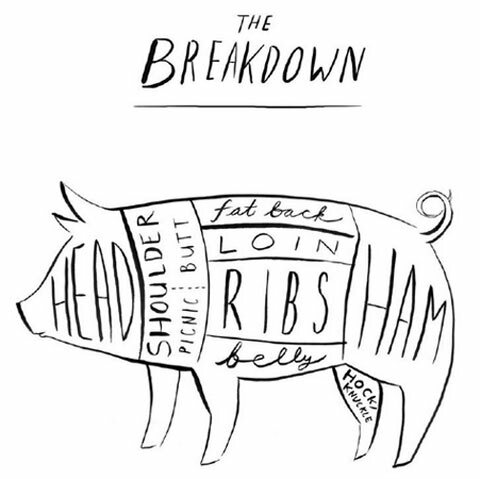 In addition to the recipes, I Like Pig: Recipes and Inspiration from New York City’s Pig Island contains tips and pointers from farmers, butchers, and chefs on how to up your pork game and use parts of the pig you’ve never handled before. If butchery sounds like more than your kitchen knives can handle, you can always just eyeball John Taggart’s photo essays that follow a hog from farm to fest, a journey we like to think of as The Road to Pork-dition. But you can definitely get hands-on with recipes for Lavender-Braised Pork Shoulder by Elizabeth Schula (Saltie), Maple Bacon Sticky Buns from Heather Carlucci (Chefs for The Marcellus), and Joe Doe’s Lard Biscuits by Joe Dobias (Joe & Misses Doe). The book’s editors/authors have also contributed dishes—there’s Leftover Pulled Pork with Big White Beans from JBF-sanctioned cookbook author Rachel Wharton, and Pasta with Shoulder Bacon, Beer & Cream from festival founder Jimmy Carbone’s Jimmy’s No. 43. We know you love bacon, but this book will have you swooning for swine on a whole other level.